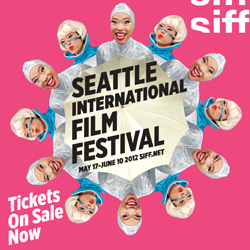 The 2012 Seattle International Film Festival begins on May 17th, 2012! In the next few days, we will be providing film previes for our top SIFF picks of the year. You can see all of this year’s coverage HERE. Times and dates are subject to change, so please visit siff.net before heading to theatres, or see HERE for all SIFF-related coverage. An extended family gathers for the youngest daughter’s wedding, but not all goes as planned. A glowing pastel canvas and sensual score are dreamy counterpoints to the anxieties and celebrations of three generations. Struggling to meet the financial needs for his much-desired life-long journey to Mecca, a religious man must decide how to make his important religious pilgrimage happen without sacrificing his own dignity or steering away his own moral compass. Materialism and status in lower middle class South Korea are filtered through the experiences of Kwon Youn-ho, tasked with resolving his family’s descent into debt hell. Cambodia produced 400 films between 1960 and 1975, but only a handful of these artistic works survived the Khmer rouge’s devastating reign. Filmmaker Davy Chou awakens the once-magnificent industry through archival material and deep insight. Dark and sinister, the portrait of Iranian injustice through the character of Noora, a beautiful young lawyer denied an increasing number of rights. Cop, monk, or assassin? In this riveting cinematic noir spectacle, a cop-turned-hitman is struck in the head by a bullet and sees the world upside-down with a flashback and forward blur of drug busts, scheming lawyers and seductive women. A moving study of two brothers, divvied up by divorced parents, who dream of reuniting their family through a bullet-train line. A children’s film with a touch of adult supervision that miraculously holds a lifetime’s range of experience. Divorced and demoted, taxi driver Yousef struggles to make ends meet. When a health crisis looms, he tries to reconnect with his estranged family in this subtle, understated drama, tinged with black humor and stylish minimalism. Sun Yu’s 1933 silent, starring silent screen queen Ruan Lingyu as a toymaker in a highly political climate, offers a rare glimpse into the Chinese leftist film movement. Legendary musician Donald Sosin performs a live piano score. The Mirror Never Lies provides a close look at Indonesian island life. A previously unreleased animation from Hayao Miyazaki’s Studio Ghibli, Only Yesterday runs throguh the memories of a young 20-something-year-old girl. When Xu Xian falls into a mountain lake, a beautiful woman comes to his rescue. Unbeknownst to him, she is a centuries old snake demon with the ability to change form, but she cannot hide her true self from the sorcerer Fa Hai (Jet Li). A story of environmental destruction intersecting with love. Winner of Sundance’s World Cinema Audience Award.